Shawn Dunwoody and myself created a magical garden of eden in our 2nd Annual From The Ground Fashion Show. 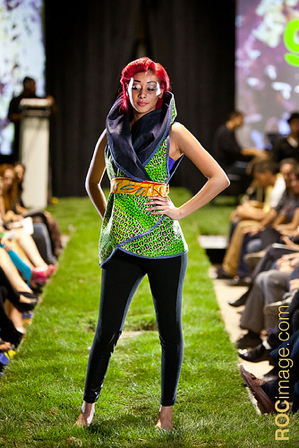 We showcased unconventional garments stemmed from eco-friendly materials. 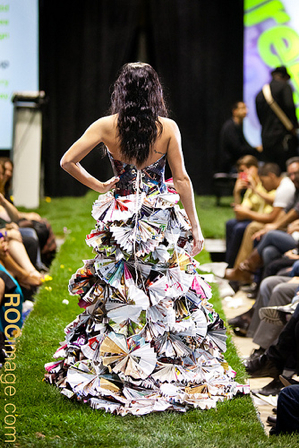 Everything from paper dresses to up cycled garments to organic materials paraded our catwalk! We featured a grass runway, live music, projections sponsored by Cheshire and food and beverage sponsored by One Restaurant & Lounge. Special thanks to Melissa Murphy, AVoM, and all of the boutiques and designers that were involved in the show. Thank you to Rome Celli and Melissa Ann Photography for the photo coverage!